The Children’s Book Bank is a local nonprofit that engages the community in collecting, sorting, and distributing new and gently used books to children who might not otherwise have books in their homes. Children living in poverty often enter school lacking the foundational vocabulary needed to learn to read and early literacy skills are directly linked to a student’s success in school and beyond. That’s why The Children’s Book Bank collects and distributes books to children in need ranging from birth through eighth grade. We distribute books through Head Start programs, public schools, and more. Since its inception in 2008, The Children’s Book Bank has collected and distributed over 500,000 books to more than 35,000 children in the Portland area. We engage the public through schools, faith groups, civic groups, businesses, and individuals. 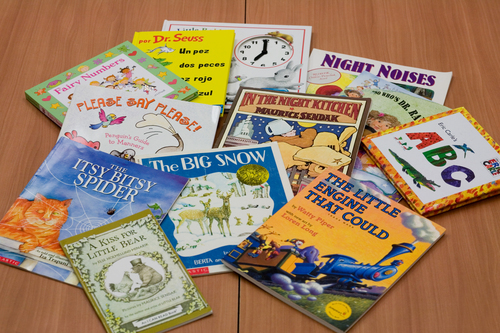 The Children’s Book Bank accepts donations of new and gently used books during its regular office hours and financial donations are also appreciated. Volunteers are the heart of The Children’s Book Bank. We welcome individuals and groups, including corporate partners, to help collect, clean, sort, bundle, and distribute books throughout the year. Volunteers can participate in one 2-hour session or on a regular basis and families are welcome. Please contact The Children’s Book Bank to learn more at info@childrensbookbank.org.